The Division 2 players are reporting a bug, which I have personally encountered as well, that doesn’t let agents call for allies after clearing a control point. On the map of The Division 2, there are many control points which the player can clear. It is a great way to get loot and resources. However, you need to call for available allies nearby to take over the control points. 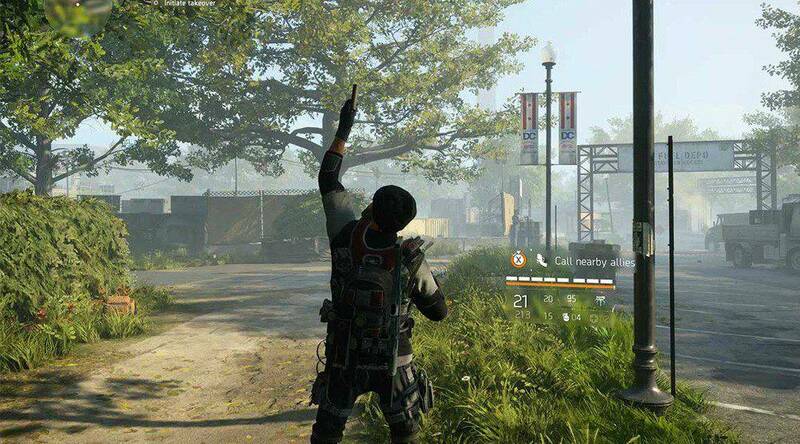 The Division 2 agents aren’t able to call for allies by holding F (PC) and shooting a flare gun. The Division 2 shows “no allies available” message on the screen. Ubisoft is yet to deal with the problem so the community figured out a possible solution for themselves. Apparently, The Division 2 “no allies available” control points bug requires a restart of the game. Once you restart the game, the control point is still clear, shoot the flare gun out in the open and clear the final wave to gain access to the resource room. This method worked for me as well as my teammates, however, some on Reddit also reported a different method. If there are side quests available near the control point you wish to capture, complete the side quests before heading back to the bugged control point. Completing nearby side quests fixes The Division 2’s “no allies available” bug for some. Like I mentioned above, there is no official fix for the problem at the time of this writing. Try these methods and see if “no allies available” bug problem is resolved for you. “No allies available” control point bug is confirmed to be affecting PC players, so far we haven’t heard reports of its existence on consoles. Still, if you are a console player and experiencing these issues try the same methods and hope for the best. Ubisoft has released a new update for The Division 2 that comes with Tidal Basin, the long-awaited stronghold. This is the first major update released for The Division 2 and what follows is an update on April 25 that’ll add the 8-man raid. Hopefully, the next update will also deal with “no allies available” issue for The Division 2 players.